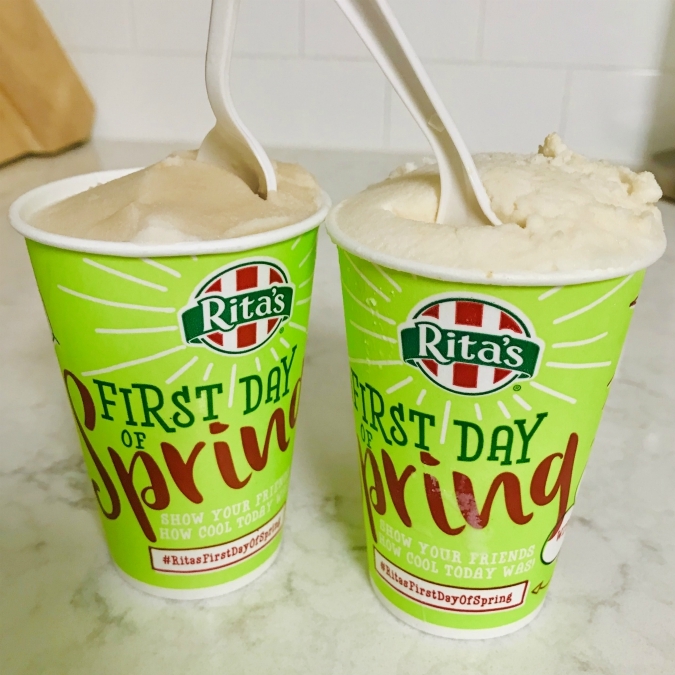 it's a tradition of ours to celebrate the first day of spring with free rita's. this head cold is still getting the best of me, so ryan stopped by rita's on his way home from work late last night, just before they closed, and brought home our free italian ice. we put it in the freezer to save it for another day when we can enjoy it. looking forward to that in the freezer and very much looking forward to getting rid of this stupid head cold!!! I hope you feel a lot better soon! They look refreshing and delicious.